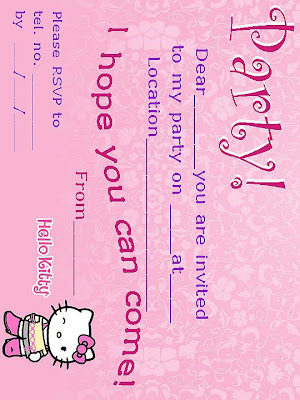 Here are three, free, printable Hello Kitty party invitations that you can send out for your next birthday party. All three are on the theme of 'pink' - to print them out for your guests, click on the image you prefer and it will open to full size - then just press CONTROL and the letter P on your keyboard to print it. 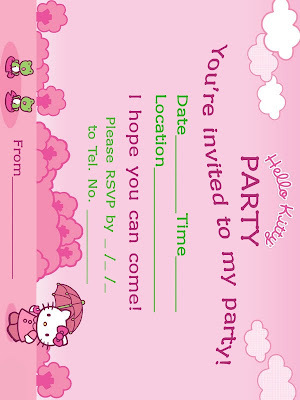 These invites are of high enough quality that they will print up beautifully and sharp even to A4 size.